I had a weird memory pop into my head the other day. More years ago than I care to remember, I worked, briefly, as a cruise ship photographer. As far as shipboard personnel were concerned, our little seven man team were pretty much the least important people afloat (and as the newest recruit, I was officially even less important than that). The thing that occurred to me recently was that, even with our status as the lowest of the low, the top four most senior photographers were all sporting Rolex watches. Real ones. Submariners, in fact. They had simply wandered into a jewelers in Bermuda or Jamaica or wherever and bought one brand new off the shelf. This would have been upwards of 25 years ago, so I’m assuming the Subs in question were ref. 16610s. It was also approaching the last time it would have been possible to simply buy one without having to endure a waiting list of some length. These days, getting yourself a box fresh Rolex, and in particular one of the universally renowned icons, is a test of either your patience or your networking skills. We all know the incredible demand for a piece such as a Pepsi GMT-Master II means the average buyer won’t be taking delivery until sometime in the middle of the next decade. That is, of course, unless you have made friends with your local Authorized Dealer and they have held one back just for you. 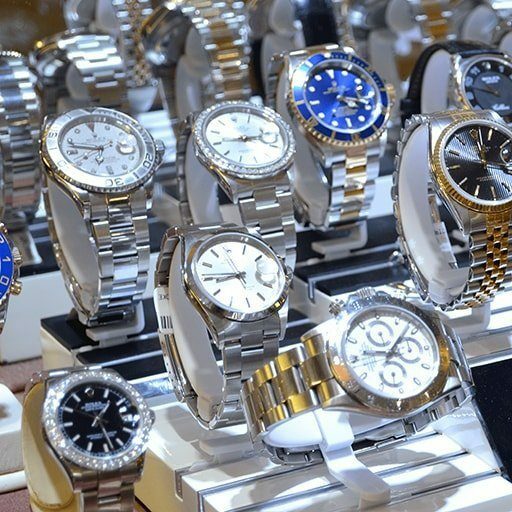 It is one of the reasons the preowned market for Rolex watches is so colossal, and the arrival of the internet has transformed it into an industry worth hundreds of millions of dollars a year. But, there was still a trade in luxury vintage timepieces before the world went online, so below we take a look at how the practice has evolved to the incredibly lucrative state it is in now. You sometimes find yourself wondering just how we used to function day to day before the internet. For all its faults, no one can say it hasn’t had a massive impact on our lives and made them, on the whole, more convenient. 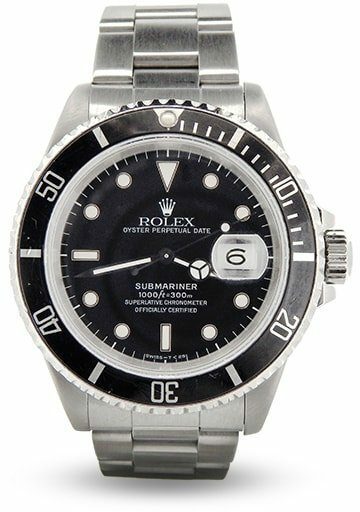 It has also gone a long way to regulating the preowned watch industry, something that was in dire need of being taken in hand. Until relatively recently, buying a used Rolex was a bit like trying to buy a used car, i.e. a crap shoot. Bounders and cads were everywhere, attracted by high profit margins, selling to people with little to no knowledge of what they were purchasing. Of course, there are still plenty of wrong ‘uns out there now, but before the world went online and started sharing information, it was far worse. 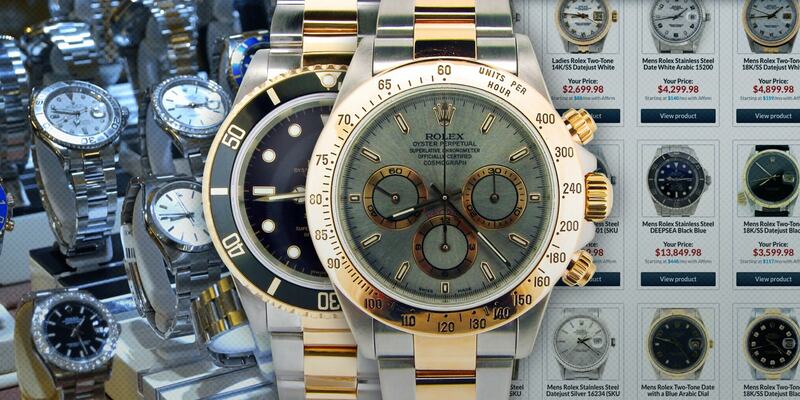 The explosion in the vintage and preowned watch market really began in the 1980s, with some experts pinpointing what they believe is the one watch that started it all; the Rolex Daytona. When the Cosmograph was finally granted its automatic movement in 1988, after a quarter of a century as a manually-winding piece, it coincided with an era where many people suddenly found themselves with plenty of disposable income and were looking for somewhere to spend it. Rolex were busy at the time transforming themselves from fine tool watch manufacturers into the ultimate lifestyle brand, and the arrival of the new Daytona coincided perfectly with the rise of the timepiece as status symbol. With its upgraded movement coming from a third party manufacturer, Zenith, it hampered Rolex’s production, causing demand to massively outstrip supply. Those too impatient to wait started to scout around for the previous generation on the secondary market, and soon, they too became extremely sought after. Fantastic Watches. But Where to Find Them? Before long, an entire industry was born. It was the 80s when the first books and magazines started to be published targeted directly at watch enthusiasts, and the classified pages in the latter especially provided a platform for collectors to come together and trade amongst themselves. In addition, high street jewelers and watch retailers began to respond to the rise in interest, choosing to buy and sell more vintage models. While those two methods were relatively straightforward ways of finding a preowned watch for sale, the major problem was the same with both. Namely, not being one hundred percent sure what you were getting. As a new phenomenon, there just wasn’t the same level of information regarding the minutiae of collecting that exists now, and much had to be taken on trust. Whether buying or selling, you were mostly relying on the word of the other party that what you were looking at was genuine and the price was fair. An even worse option if you were selling, and still one used a surprising amount today, was the pawn shop. Hocking a Rolex watch here was certainly a very quick way of getting hold of some cash, but just as quick a way of losing a huge amount. Even if the staff were at all conversant with the brand, which was unlikely considering the variety of different goods that come through their doors, the chances of them offering you anywhere close to its true value were zero. At the other end of the spectrum, it was also the decade that saw the rise of the dedicated auction. Before, a luxury timepiece might come up as a lot in a more general sale, but Geneva-based Antiquorum were the first to hold an event based solely around watches. By 1989, they were also having thematic sales, devoted to just one maison, starting with the Art of Patek Philippe on the occasion of the brand’s 150thanniversary. With their success, other houses started to hold their own watch auctions, leading to some truly unbelievable prices being paid for certain ultra rare examples. But as the allure of vintage collecting continued to grow, the auctioneers looked to shake off their image of being only for the fabulously wealthy, and tried to become more inclusive. Sales of more realistically priced models began to spring up and proved popular not only for the range on offer, but also because they were one of the few places with genuine experts on hand to guarantee the authenticity of the lots. It is still a work in progress for most auction houses, shedding the old boy network association, but they are starting to attract people from all walks of life. On the 6thAugust 1991, the World Wide Web went public, eventually leading to a different way to do almost everything, including buying and selling preowned watches. It has only fuelled the secondary and vintage markets even further, allowing more people to trade timepieces, either privately or by setting up in business to do it professionally. There is no doubt it has transformed the industry, providing multiple platforms for consumers to come together, as well as exchange that most precious of commodities, knowledge. 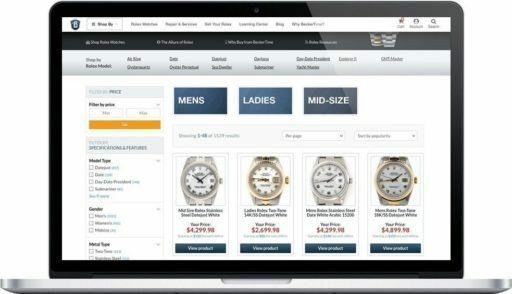 The amount of information available online has had a huge bearing on bringing watch collecting into the mainstream, kicking off the perpetual motion machine of more demand leading to higher prices, and so on and so on. And with enthusiasts becoming better informed, it has led to a safer environment for everyone, with those selling counterfeits or Frankenwatches getting named and shamed. Nobody really knows where things are going to go from here and, at only around 30 years of age, it is still a business in its infancy. It has come a long way already, but shows no signs of slowing down.